So I’ll be at Macy’s Herald Square from 5:30-7:30pm today in the INC department on the 3rd floor for a Glamour magazine event. I am the Glamour event stylist and will be showcasing INC denim silhouettes, styles, trends and washes – along with all of INC’s Fall 2015 offerings to pair with your jeans. Guests who spend $75 will be able to meet Heidi Klum and/or Gabriel Aubrey. Which is a pretty cool photo op. They’re kind of good looking people ;) Plus, there will be a denim bar where you can embellish, bedazzle, slash and/or distress your pair, under the guidance of the girls from Glamour, of course. And this is all amazing. It will be a good time, for sure! But I’m writing for a different reason. I’m writing because when I went in for my wardrobe pull, I could NOT believe I found pair of INC jeans that fit right off the bat – with no need for alterations or hemming. I am 5’0″ with perfect posture and I tailor everrrrrything. The petite high-rise flare jean in a 0P and 2P both worked – to my total surprise and excitement – and I ended up going with the 2P for a bit more length and a touch more wiggle room. The INC flares fit with such 70s fabulousity, I was total feeling myself in the fitting room. I seriously think everyone needs a pair. And since they’re currently selling for only $65, there’s no reason to not have one. 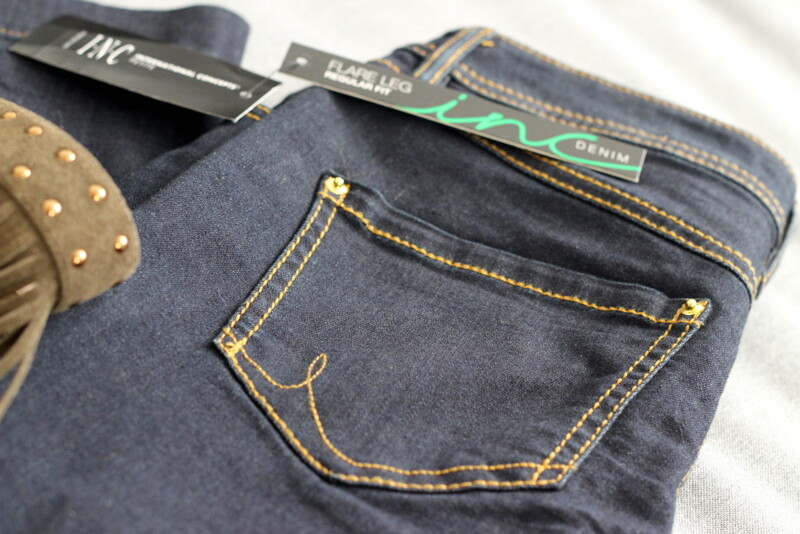 We’ve already discussed the jeans but INC has styles not just for petites but also plus and traditional women’s sizes, which come in regular or curvy fit, and in a variety of shades and washes. In terms of leg silhouette, you can go flare, skinny, bootcut, boyfriend and beyond. This fall, given 70s style is B A C K in a major way, the flare was my obvious choice. I paired the jeans with a grey ribbed sleeveless mock-turtleneck INC sweater. This top is on sale now for $40, from $50. Hugs every curve and fits like a dream. Next was a drool-worthy faux fur INC vest that was totally winking at me and whispering my name as I first walked into the department. I thought it might overwhelm my smaller frame but the minute I put it on, I knew I had to have it. My husband photographer wasn’t sure whether or not it was real. Which speaks a ton to quality. The vest was originally $190 and is now on sale for $97. THAT, my friends, is a steal. Lastly, I needed some shoes! The fringe and studs on these faux suede anklet INC heels gave a nod to the 70s to complement the outfit but weren’t overkill as the flare denim would mostly conceal the details. The shoes were originally $110 and are now on sale for $100 but with a special in-store discount plus a buy-2-pairs-get-an-additional-discount in place (oh yeah, I also bought this pair for myself just because I couldn’t leave without them), they ended up at $33.80. My wardrobe for the event was gifted so the fringe pair wasn’t even my money but I was loving that final price. Seriously – #winning. 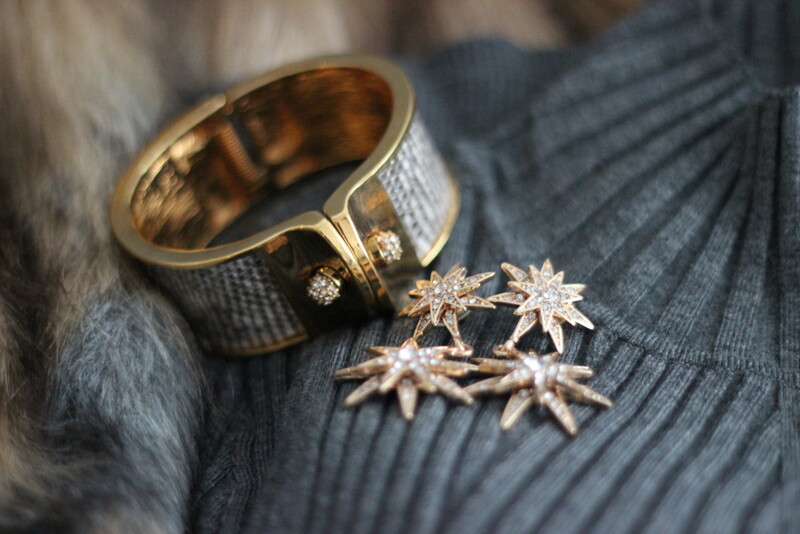 For some evening appeal, I threw my own jewels into the mix. A Kara Ross snakeskin bangle and some Bauble Bar celestial drop earrings. I personally feel like a million bucks in this outfit and it made me reconsider INC in a way I had not before. (Prior to this pull, I had considered it more for basics, not statement pieces.) 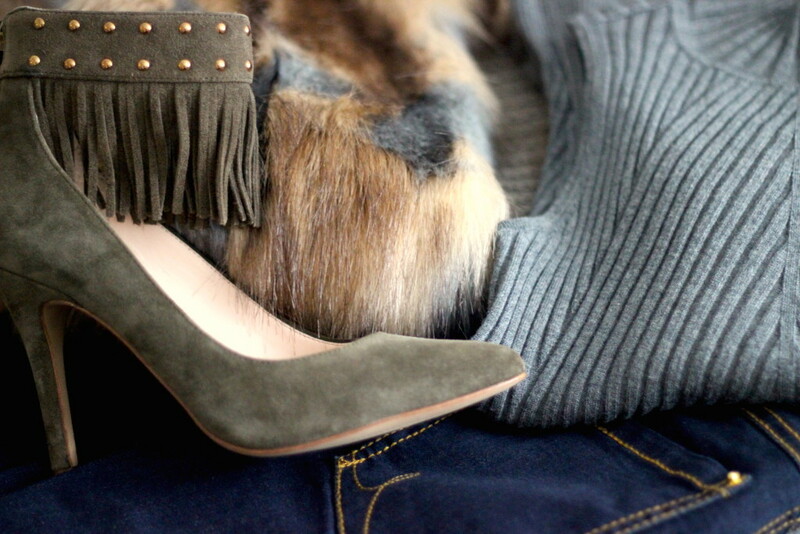 I can’t wait to mix and match these jeans (and all the items) with other things in my closet. I am a big believer in Cost-Per-Wear as a major factor in determining value and the CPW of these pieces will be incredible especially given their current sale prices. I also think there is a chill factor to consider. Like, does this item give me the chills… does it channel something… is it giving me a moment? And I have to say the whole 70s vibe of this look is just oozing attitude and swag, which I will gladly serve up. 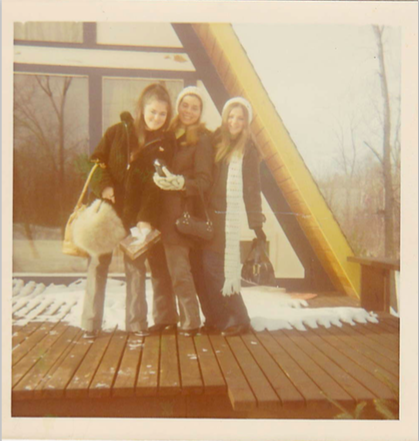 Oh, and it also reminds me of my mom and her friends in the 70s. CUTE, right?? NOTE: This post is not sponsored. All thoughts are unbiased and my own. Wardrobe was provided solely for the event. No social media was required or even included in the partnership scope of work. All photos are property of DIVAlicious. I have always been an INC shopper. It is one of the few brands that always fits my frame. Plus it is so affordable! I think I’ll go shopping today!! !